Brooklands is the world’s first purpose built motor racing circuit, crafted by local landowner Hugh Locke King on 330 acres of farm and woodland on his estate at Weybridge in Surrey. Work commenced in late 1906. Brooklands was also a major centre for aircraft design, construction and flight testing for most of the 20th century. From A V Roe’s first trials here in 1907-08, through many decades of manufacture by such companies as BAC, Bleriot, British Aerospace, Hawker, Sopwith and Vickers, no other place in Britain, possibly even in the world, has seen such achievements. Some 18,600 new aircraft of nearly 250 types were first flown, manufactured or assembled at Brooklands. In June 1908 A V Roe made significant taxying and towed flight trials in his Roe 1 Biplane at Brooklands and at Lea Valley in 1909 he became the first Englishman to fly in a powered aeroplane of his own design. In 1909 the BARC arranged for an area in the middle of the Track to be cleared to create one of Britain’s first aerodromes, enabling Louis Paulhan to give Britain’s first public flying demonstration that October. Soon other pioneers were attracted to Brooklands. The best known of these was Tommy Sopwith who learned to fly here in 1910 and subsequently formed and led first the Sopwith and later the Hawker aircraft companies which produced the majority of Britain’s fighter aircraft in the 20th century. In 1911 the world’s first Flight Ticket Office was built in what soon became known as the Brooklands Flying Village. Here groups of simple wooden sheds housed many of the greatest pioneers of British aviation from 1910 to the outbreak of World War One. These were immortalised in the 1960s film ‘Those Magnificent Men in their Flying Machines’ which was based around The Daily Mail Circuit of Britain Air Race held at Brooklands in 1911. In 1915 Vickers started manufacturing aircraft at Brooklands and progressively extended their premises with the growing demand from military contracts. Women increasingly replaced the men in the factory who had been called away for war. The first true Vickers fighter to go into production at Brooklands was the Gun bus, the world’s first aircraft specifically designed to mount a machine gun. This was followed by the twin-engine Vimy, a long range bomber. Alongside Vickers’ production, the output of the Sopwith Aviation Company was even more prolific. Besides a large number of prototypes, numerous Camels, Snipes, Pups and Tri-planes came off the production lines in nearby Kingston and were all test flown and delivered from Brooklands. Vickers and Sopwith, together with the Martinsyde and Bleriot companies who also had factories close to Brooklands, supplied the British air forces with most of the aircraft which won air superiority over the Western Front. When war began again in September 1939, the Vickers-Armstrong and Hawker aircraft companies had exclusive use of the Brooklands site for military aircraft production. The Wellington was one of the world’s most advanced bomber aircraft at the start of World War Two and bore the brunt of the Allied bomber offensive in the early 1940s. Of 11,461 Wellingtons built by Vickers by 1943, 2,515 were built at Brooklands – one fifth of the total number. All 18 variants were developed and test flown here too. Throughout the war Wellingtons performed an extraordinary variety of roles and the type was Britain’s most numerous and successful twin-engine bomber of that conflict serving throughout the RAF. In September 1985 Wellington ‘R for Robert’ was recovered from Loch Ness, having ditched there during a training flight in 1940, and returned to Brooklands where it has since been meticulously restored. Britain’s most successful fighter aircraft of this era was the Hawker Hurricane designed by Sydney Camm at nearby Kingston. It was assembled and first flown in prototype form at Brooklands in November 1935. Altogether, 3,012 Hurricanes were produced at Brooklands – one fifth of the total built. When the Battle of Britain was fought in the summer of 1940 it was due to the tremendous production and test flying effort at Brooklands and other factories and to the skills of the RAF pilots that the Hurricane became the chief victor of this decisive engagement. At the time, Hurricanes equipped no less than two-thirds of RAF single fighter squadrons. A Brooklands-built Hurricane was recovered from Russia in 1997 and is now on display in the Aircraft Hangar. 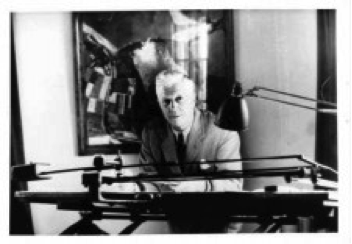 Renowned engineer, designer and inventor, Sir Barnes Wallis spent almost four decades working at Brooklands – most notably on the Wellington bomber and the ‘bouncing’ bomb. He also successfully developed the Tallboy and Grand Slam ‘earthquake’ bombs, the largest conventional bombs used in the war. By the end of the war Brooklands had produced and flown a total of 5,748 military aircraft through the Hawker and Vickers companies, but the Track had been damaged by German bombing and war-time camouflage, defences and the construction of temporary buildings. In 1946 Vickers purchased the entire site for £330,000 and proceeded to design and build a new range of civil and military aircraft at Brooklands including Britain’s first post-war airliner, the Vickers Viking. Following the success of the Viscount, the Vanguard was first flown from Brooklands in 1959 and in 1962 Brooklands entered the jet age with the first flight of the prototype VC10 airliner. Most of the factory workforce turned out to witness this event and all 53 production VC10s were flown out of Brooklands for completion and test flying at Wisley. In 1960 Vickers-Armstrong became part of the newly formed British Aircraft Corporation (BAC) with its headquarters at Brooklands. Work continued on such aircraft as the TSR2, designed in the climate of the Cold War but cancelled in 1965 and the One-Eleven which coincided with the rise in package holidays in the 1960s and 70s. In 1977, British Aerospace was formed by the merger of BAC with Hawker Siddeley Aviation but the factory at Brooklands was already contracting in size and no longer built complete aircraft. In July 1986, the factory’s closure was announced and demolition took place in 1989-90. Today the site comprises of a housing estate, industrial park, superstore supermarkets, a car sales and service facility, and the original race track lies broken up in parts, weeds growing through and sadly neglected in favour of the relentless and unending queue of shoppers racing to get into Tesco’s rather than admiring the splendour of the surroundings that reflect a glorious and proud history and heritage. The Brooklands Museum and Trust have done a wonderful job in trying to recreate as much of the original splendour of the racing track and the airfield that existed, and their efforts are to be truly admired and applauded. However, my issue is with Elmbridge Borough Council who in the 1980’s, approved a planning decision to demolish part of the race track, and replace it with a giant Tesco’s superstore, a Marks and Spencers store, with a Mothercare, PC World and Currys store. What sacrilege. In fairness the Mercedes World building does not appear to deface the actual racetrack and appears to co-exist side by side with the original. A mix of old and new technologies perhaps? In a borough like Elmbridge, which is not noted for its architectural historical monuments, would it not have been prudent to retain this historic racetrack and celebrate the fact that it was the birth of motor racing, and the glorious milestones achieved here in aviation history. It would have been so easy to allow modern development to co-exist side by side with the original banked racetrack and runway. Instead we have only small patches of the race track left, complete with weeds, sadly neglected and forgotten. Come on Elmbridge Council, make good this desecration and invest some money to celebrate one of the few things that we have in the history of Elmbridge.